Automation is continuing to increase on the factory floor, creating a growing need for more data exchange over sophisticated, high-performance networks. These new developments, known conceptually as the Internet of Things (IoT), are placing new demands on Ethernet cables, which are the backbone of the smart factory environment. These system specific cables must be able to hold their own in harsh factory environments while still supporting high data rates. 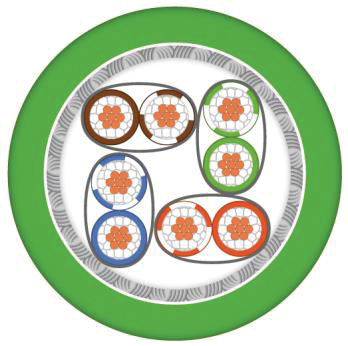 Because it can be a challenge to combine the design requirements of robustness, flexibility and high data rates all in one cable, it’s important to know what your options are when selecting data cables for your factory.